We have the Big Jock range of brushes, this is the medium-sized synthetic shaving brush version is imaginatively called Medium Size Jock. This brush benefits from a knot of super-soft new generation synthetic hair and a lathe turned and polished handle. It is remarkably well priced for a shaving brush of this size (please refer to the Product Details below for dimensions). The new generation of synthetic fibres are incredibly soft, softer than even a badger silvertip hair brush, yet this brush has significant backbone due to the density of hair, meaning this brush will lather up shaving soaps, creams with ease. It won’t flop about like an old emulsion paintbrush the way some badger hair brushes do. The handle is an elegant shape, one that fits easily into the hand delivering a firm grip even when wet. The knot of hair is 100% synthetic, no animal hair was used in the manufacture of this brush and no animal has been used in its testing. Synthetic hair is highly recommended for men with sensitive skin and for traveling, the brush needs minimum maintenance and it will dry almost immediately after use. This medium-sized Jock synthetic shaving brush comes to you in a smart, Executive Shaving branded presentation box. New Generation 2 Synthetic Fibres The super soft fibres are incredibly soft, softer than badger silvertip brushes, yet they have significant backbone. This makes them ideal for lathering up hard shaving soaps and creams. Be gentle with Jock, he's a big guy but even big guys need some tender, loving care. The golden rule is to avoid using hot water, warm and cold water is fine but hot water can damage the brush by loosening the knot of hair in the handle. Read our shaving brush care blog post here and watch the video above for guidance on how to maintain your brush. High-grade super-soft hair set in a faux horn handle of generous dimensions. 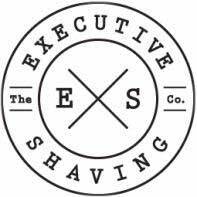 For men who want to avoid smelly animal hair shaving brushes that are prone to hair shedding. 100% synthetic fibre knot. The high-grade resin handle was lathe turned and polished - there are no mould marks to be seen on a lathe turned handle.